Even though the mass shooting on Sunday happened on the other side of the country, there is a tie to Las Vegas. The shooting took place during the Madden Classic video game tournament. The winners of the tournament were supposed to come to Las Vegas in October for the final round. 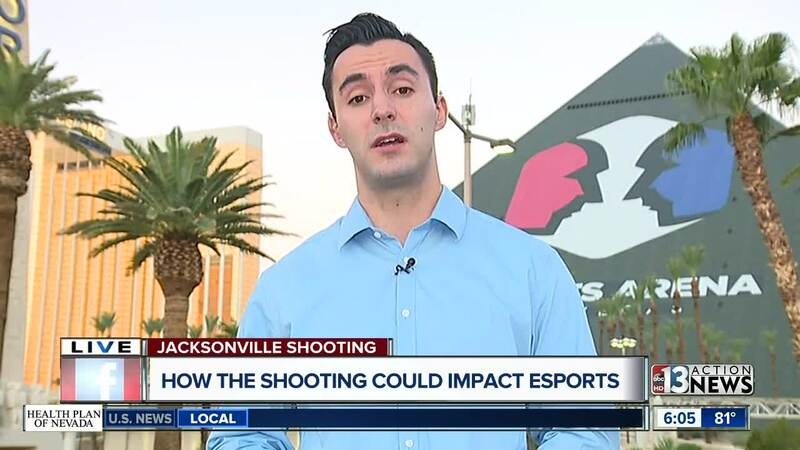 We reached out the Esports Arena in Las Vegas at the Luxor after the deadly shooting. 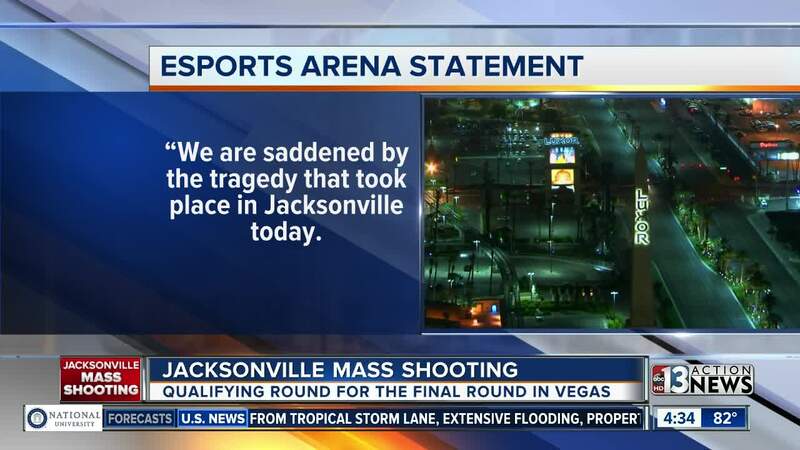 We are saddened by the tragedy that took place in Jacksonville today. Security at Esports Arena Las Vegas will always be our top priority and we continue to work with Luxor and MGM Resorts to ensure a safe environment. 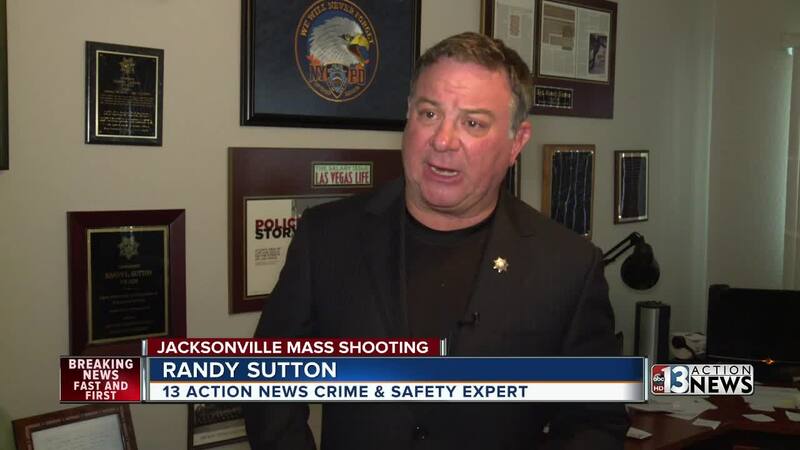 13 Action News crime and safety expert and retired police officer Randy Sutton says that the police still have a lot to learn about the gunman. However, it is possible that they many never find out why the shooter did what he did. That was the case after the mass shooting in Las Vegas on Oct. 1, 2017. Police and other law enforcement officials have never been able to determine a motive for the worst mass shooting in modern history that claimed 58 lives and injured hundreds. Two people were killed in Jacksonville, Florida. Additionally, 9 other people were shot and 2 people were injured trying to escape. The gunman shot himself.